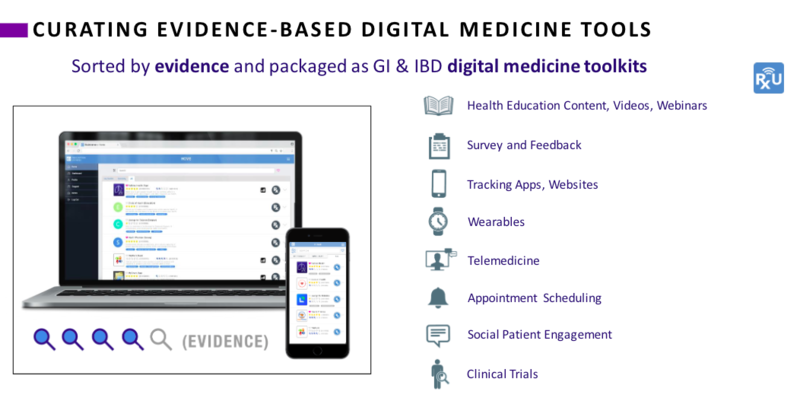 As digital medicine continues to serve as a driving force in the evolution of patient care, Rx.Health is announcing, in partnership with the AppLab at Mount Sinai, the release of a transformative Gastrointestinal Digital Medicine Toolkit at Digestive Disease Week 2018 in Washington, DC. This end-to-end solution is the first of its kind in the field of gastroenterology, and allows both patients and providers to realize the myriad of benefits from combining multiple proven and complimentary digital solutions in a single toolkit for GI diseases and endoscopy procedures. The Toolkit allows providers to prescribe patients a care plan that evolves with the patient’s condition. 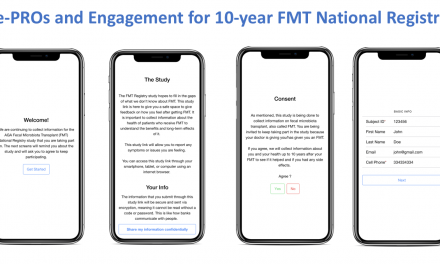 Included in the offering are clinically-proven tracking apps, telemedicine support services, scheduling and feedback reminders, as well as solutions that provide a holistic approach to patient care, such as patient social outreach engagement and ongoing health education materials. An additional core component of the Toolkit is HealthPROMISE, an app-based platform developed at Mount Sinai that is designed to improve the quality of care for those patients struggling with inflammatory bowel disease. In conjunction with the release of the GI Digital Medicine Toolkit, Mount Sinai’s AppLab will be presenting the results of a two-year clinical trial of HealthPROMISE on Saturday, June 2nd, at the Mount Sinai Booth at DDW. In addition to the presentation, representatives from AppLab will also be demonstration of the unique GI BOT. Please stop by booth #1407 to discuss how digital medicine could transform your practice or care. With respect-thanks-Can you expand this?